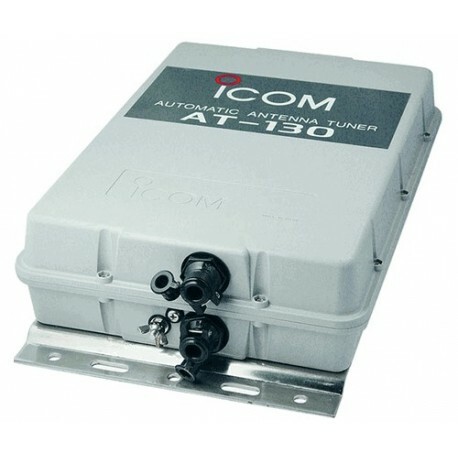 Automatic Antenna Tuner AT-130 canggih ini cocok digunakan untuk semua frekuensi radio SSB/HF Icom. Instalasi sangat mudah. The AT-130 matches all frequencies on the HF marine band. For example, the tuner matches a 7 m long-wire antenna across 1.6–30 MHz. Just push the <TUNE> button on the transceiver, the AT-130 immediately tunes for a minimum SWR on the selected frequency. The AT-130 allows SSB operation where antenna element length is restricted due to space. The AT-130 is housed in a durable, completely weather resistant acrylic case with a rubber gasket. 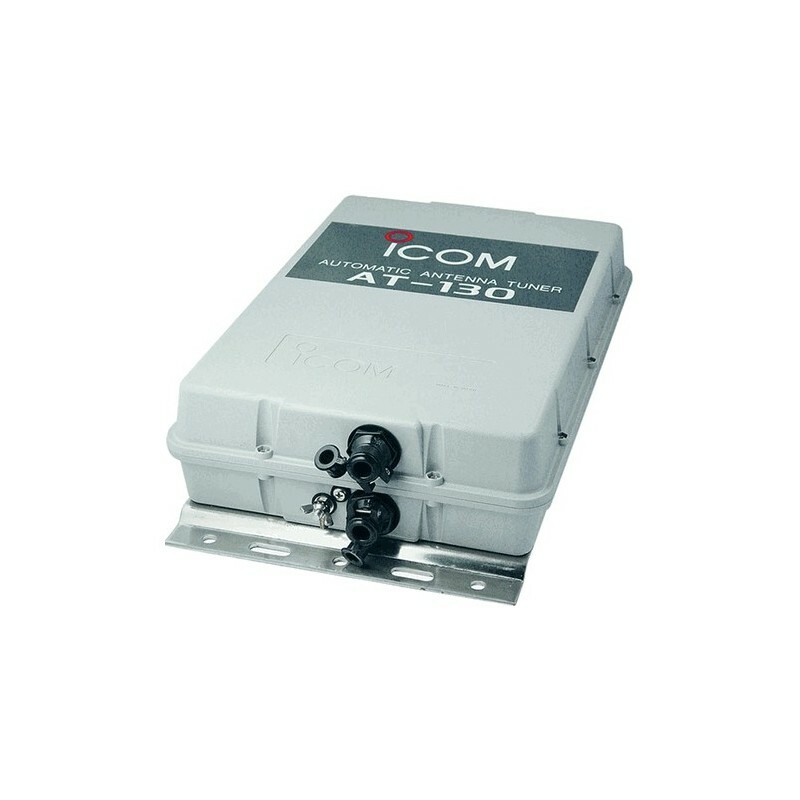 The antenna tuner can be conveniently installed both on the deck or in the cabin near the antenna element. To decrease the tune-up time, the AT-130 automatically stores the matching conditions for up to 45 frequencies. Retuning for a memorized frequency takes roughly 1 second. Even if the AT-130 is not used for approximately 1 week, the built in super capacitor backs up the 45 memory contents. The AT-130 emits low output power during tuning. This feature reduces the possibility of causing interference to other stations.